Cpl. Lee. 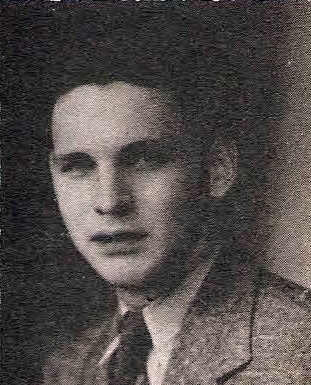 L. Mayes, son of Mrs. Alice Mayes, Graham, husband of Marjorie Mayes, attended Graham High. Entered Army, 1939, trained at Ft. Sam Houston, Texas and Ft. Bragg, N. C. Served in N. Africa, Sicily and Italy. Awarded GCM, 7 Battle Stars, EAME, Amer. Def., Amer. Theater and Silver Star. Wounded in Italy. Discharged in 1945.